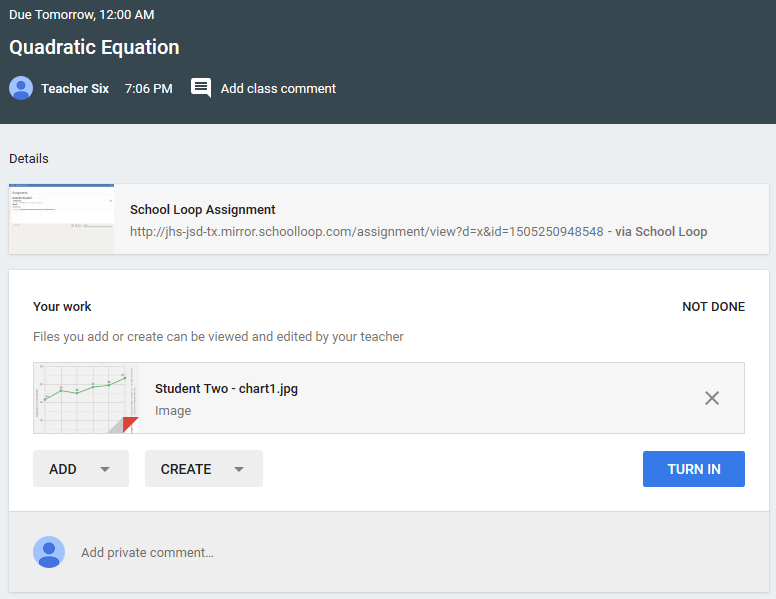 School Loop now supports the Google Classroom feature that allows teachers to make copies of any assignment attachment for each student. Since attaching Google Docs is the most beneficial use of this feature, teachers will want to connect their Google Drive account to their School Loop locker. Create an assignment, attach a file, and check the box next to the attachment name. You can attach a file from your Google Drive (see link above) or from your device. Once you do, you'll see a checkbox appear next to the attached file. Check the box if you want each student to receive a copy of that attachment. Students access the attachment in Google Classroom or Drive. Students may open their version of the attachment directly from the assignment in Google Classroom and then make alterations and edits as needed. When ready, students click the Turn In button. Naturally, students can also access the attachment via their Google Drive. Teachers check Google Drive for student submissions. Teachers have a folder in Google Drive for each classroom and inside that, a folder for each assignment. 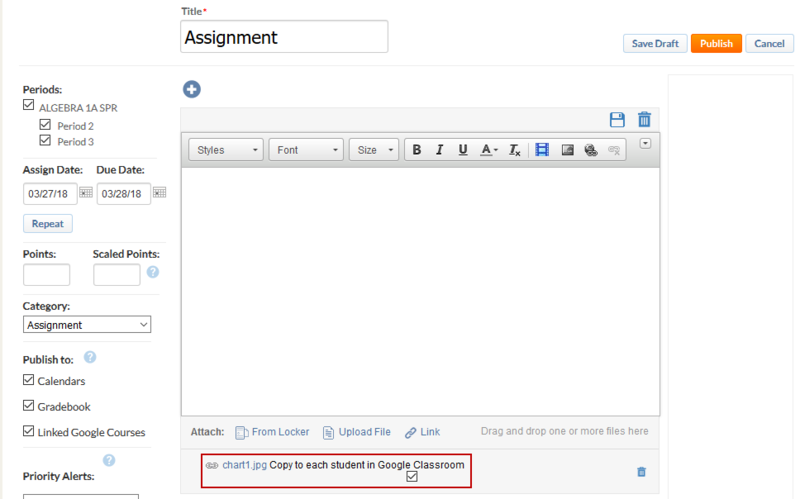 Inside the assignment folder, teachers can access the unique copy of each student's work.